Sign up to receive updates on important voting information and deadlines. The votes of target shooters, hunters and gun owners are making a difference in our elections. 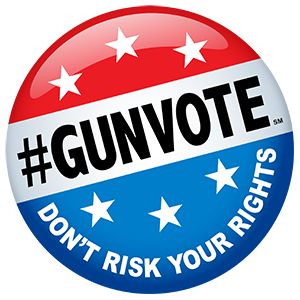 Voting in the 2016 election is a process that begins by making sure to register, then becoming educated about the candidates running for office and discussing choices with family and friends so that they understand the importance of voting to protect America’s firearms freedoms. The final step, of course, is going to the polls and, when necessary, helping others to get to the polls, too.